To this point, however, there has been no known archaeological evidence proving the existence of King Hezekiah’s chief counselor and the unsung hero of ancient Judah’s eighth-century-b.c rebirth, Isaiah the prophet. 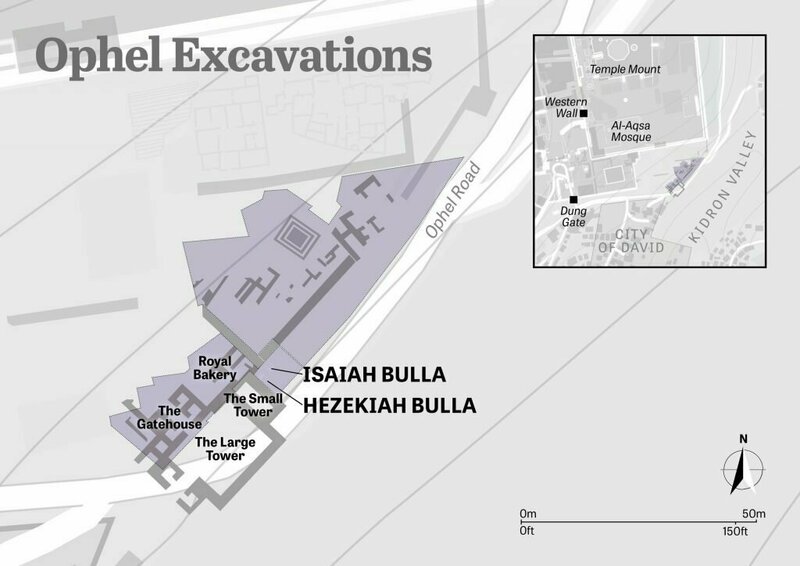 Location of the Hezekiah and Isaiah bullae. Imagine a baker or palace worker 3,000 years ago tossing litter out the bakery window. Dr. Mazar’s 2009 excavation occurred at the foot of the southeast wall of the bakery, in the area where the debris would have landed. The excavation was small, but it furnished a treasure trove of ancient artifacts, including pottery fragments, ivory inlays, figurines, and lmlk seal impressions on jar handles. 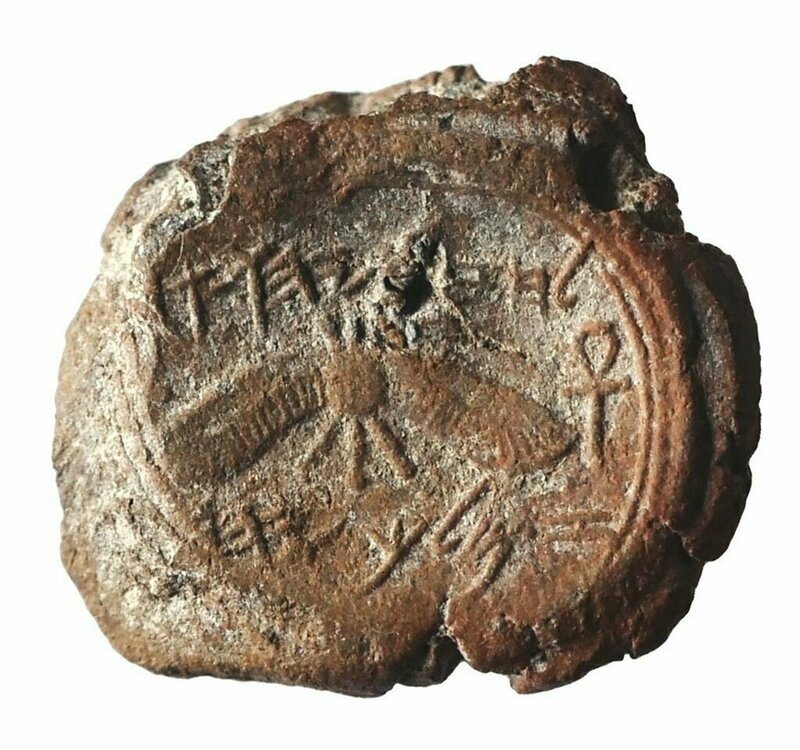 (In ancient Hebrew, lmlk means “belonging to the king.”) Mazar and her team also unearthed 34 bullae–small clay seal impressions stamped with the name of their owner. Thirty of these bullae bore Hebrew names. When Dr. Mazar first read this inscription in 2014, she was instantly intrigued. Yesha’yahuis the ancient Hebrew name for Isaiah. Naturally, this caused her to wonder: Was this the seal impression of Isaiah the prophet? As electrifying as this thought was, Dr. Mazar suspended judgment. Speak with Eilat about archaeology even for a few minutes, and there’s a good chance you will hear her say something like, “We must let the stones speak.” Dr. Mazar is a scientist, and like every great scientist, she believes it is her job to follow the facts. Dr. Mazar studied the bulla extensively. She showed it to colleagues, including Prof. Schmuel Ahituv and Dr. Haggai Misgav, two distinguished epigraphists and experts at decrypting ancient Hebrew inscriptions. 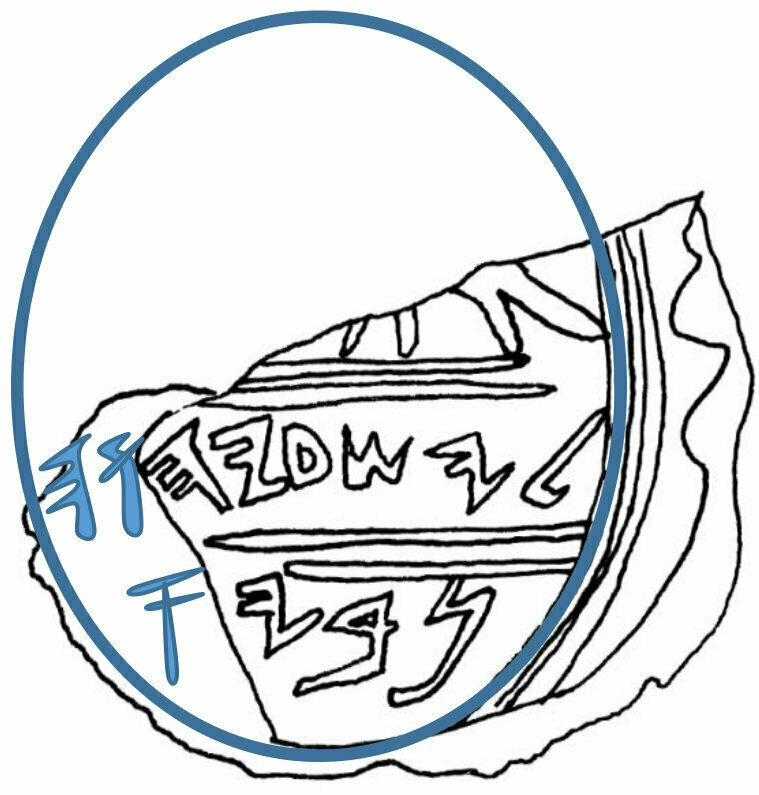 The most interesting part of the bulla–the text identifying its owner–is inscribed on the second and third lines. The text on the second line is easy to read and clearly states, Yesha’yah[?]. Although one letter is missing on the left side (Hebrew is written from right to left), there is only one viable option for its identity. In order for it to be a name, it must be a “u” (Hebrew vav). With the necessary “u,” this is incontestably the Hebrew name Yesha’yah[u]–or Isaiah. The Bible mentions seven individuals named Isaiah, and other men named Isaiah undoubtedly lived in ancient Judah. Although this name was common, it was rare for an individual to have his own seal. Generally, only important figures–royalty, high officials, priests and prophets–had their own unique seal impression. So whoever this Isaiah was, he was unquestionably an important figure. There is clearly a border around the outer edge of the bulla. The text and motif are positioned insidethis border. But notice, there is no border on the left side of the bulla, due to the damage sustained when it was created. If we imagine the existing border continuing around the entire outside edge, we can visualize where the border would be had the left side not been spoiled. On the left side of the bulla, between the last letter and the imaginary borderline, there would be ample space on the second line for at least two more letters, and ample space on the third line for at least one letter. If the second word is a name or surname (perhaps with an added letter), as Professor Ahituv suggests, the inscription does not identify the owner’s occupation, title or place of origin. This would be unusual. Dr. Mazar suggests the most likely and natural option for the missing letter is an aleph (‘). The addition of an aleph on the bottom line would create nvy’–the Hebrew word for prophet. To the Hebrew ear, the word nvy–even without the aleph (which is silent)–naturally sounds like prophet. Imagine hearing a friend read an ancient coin that said “Kin Richard.” Most people would naturally hear “king” and conclude that the coin was referring to King Richard even if the g in king was missing. It’s the same in Hebrew with Yesha’yah[u] nvy, the term inscribed on this bulla. When you read (and say) nvy, you naturally hear “prophet” even though nvy is missing the aleph. Hezekiah and Isaiah were more than just contemporaries. Outside of King David and the Prophet Samuel, this is the most influential and productive king-prophet relationship in the Bible. Whenever Hezekiah faced crisis or needed counsel, he turned to Isaiah. And the prophet, inspired by God, guided King Hezekiah–and all of Judah–through the crisis. And for some–sadly, too few–it is a story replete with lessons for today.